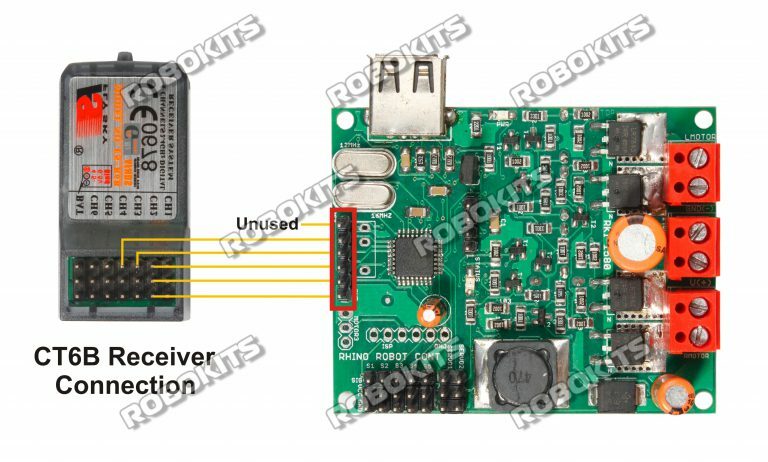 Make your robot wireless with long range CT-6B wireless transmitter receiver. Ideal for making any DC motor controlled robot. Just connect battery and motors to respective terminals to make your robot wireless. It can control up to 20Amp of current on each channel. The wireless transmitter receiver has a radial range of minimum 500 meters to a maximum of 1km line of sight in an open air environment. Please note that this range is where there is no RF interference in 2.4Ghz band. In cities and areas with lots of wifi networks around the range can be drastically low than specified. It can Drive 2 robot driving motors (Connect two motors in parallel for 4 wheeled robot) in skid steer control. Connect 8X AA cells to the transmitter and keep transmitter in power off state.